The Unique Sur Jahan World Peace Music Festival - 365 Festivals :: Everyday is a Festival! Music lovers have a new destination to reach, and these are India’s favorite tourist spot. If you haven’t guessed till now, then it is about the ongoing Sur Jahan World Peace Music Festival in Goa and Kolkata. Music makes everything so beautiful and lively. In fact, if anyone says that they are not fond of music, it sounds so awkward and unbelievable. Moreover, if you incline towards music and, want to enjoy a better version of music fest, this where you should go. Some more interesting fact about this fest mentioned below. 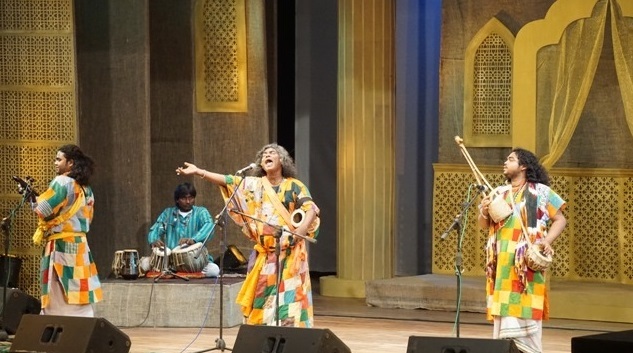 Sur Jahan World Peace Music Festival is an annual music fest which begins every year in February. This fest organized back to back in two locations. Every year it starts its journey in Kolkata and finishes it in Goa. Speaking of the performances, many headliners are making their entry on stage. Both local and world-renowned artists named in the performances lineups. Moreover, Banglanatak.com hold the responsibility of its organization task every year. Besides being a fun show, the other motive for its organization is to provide a platform for meeting different cultural music and let the audience experience this unique blend of music. No doubt it is a music fest with a purpose, and the credit for its initiative goes to Banglanatak.com. Banglanatak.com is a Kolkata based enterprises working for 17 years in the social and cultural field. In social front, it works for poverty reduction especially the rural background poor for their social inclusion. Also, it works for the promotion and development of art. Amitava Bhattacharya who is the founder of this organization and fest which knew as Sufi Yatra. As far as Sur Jahan music fest concerned it initially started in Kolkata and till now completed eight mind-blowing years. After getting a solid ground at Kolkata, it started off in Goa where it has completed four years. According to the founder Amitava Bhattacharya, this fest has become a mode of celebrating cultural plurality. Here, at this fest, the audience uplifted from all barriers and, dive into the lovely music served to them. He also added that it provides a medium for exchanging cultural dialogues and helps in understanding and appreciating these different cultures. Moreover, this fest receives spectator from around the world. The show held for two consecutive weekends for the first weekend in Kolkata and the second weekend in Goa. On top of that artists from 26 countries and 12 Indian states perform over these two weekends. Also, this music fest is for peace and unity because of which any music band can contact for playing here. How does visitor enjoy Sur Jahan Music Fest? The happiest fact is anyone wishes to attend this fest does not have to pay any fee for entering the venue. Undoubtedly, it is among the most appreciated and entertaining fest of the entire year. For that matter, it drives not only the native audience but also international audiences. People from different location filled with the excitement arrives at the venue. Moreover, this fest also generates a lot of tourism to this place. It’s a great venue to enjoy all type music under one roof. Apart from the night fest, it also holds the one-day workshop for introducing all the national and international music bands. Also, people have the chance to explore the attractive places of Goa and Kolkata during their free time. The 2018 edition of Sur Jahan World Peace Music Festival will be taking place on 2nd of February at Mohar Kunja in Kolkata. The next weekend that is from 7th of February it will reach Panjim where at Kala Academy it is going to hold.